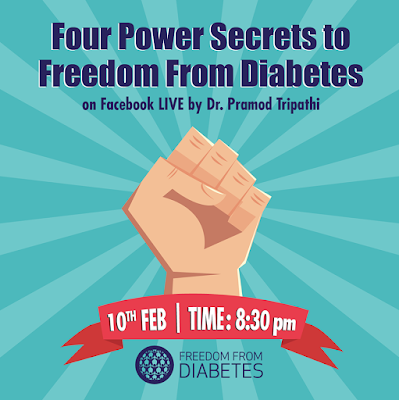 Watch Dr Pramod Tripathi get interviewed LIVE on DEEPER SECRETS OF FREEDOM FROM DIABETES. at 2:30 pm Monday 27th February. Hold on to hope and grow in faith... Get on to the natural and pure path and win your own FREEDOM! Contact Dr Pramod Tripathi office: +91 7776077760. 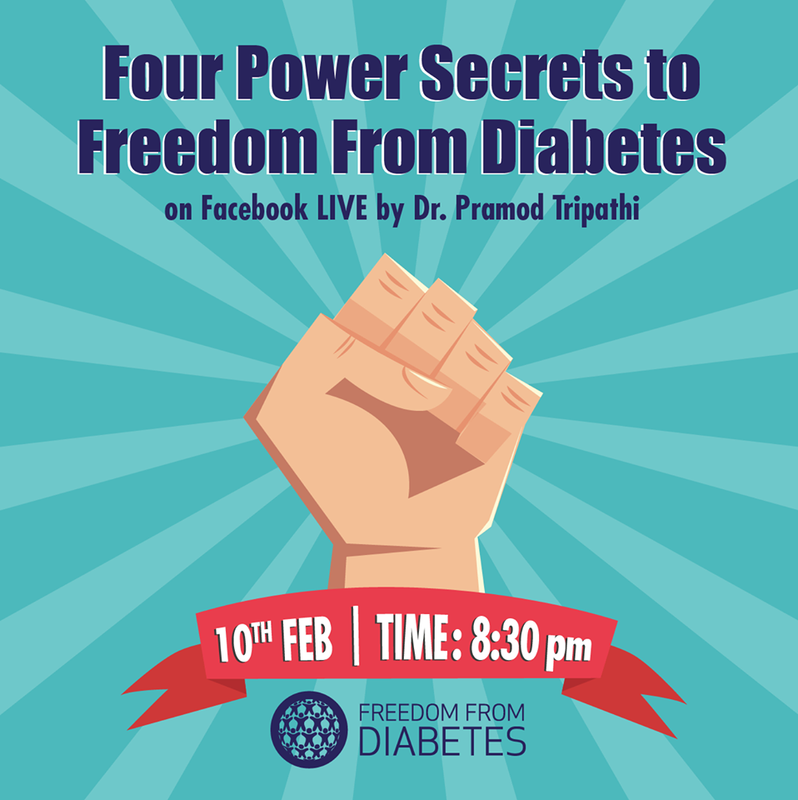 Dr Pramod Tripathi will reveal Four Power Secrets to Freedom From Diabetes! Join from anywhere the Facebook LIVE Session. For more information, please call office on 7776077760. 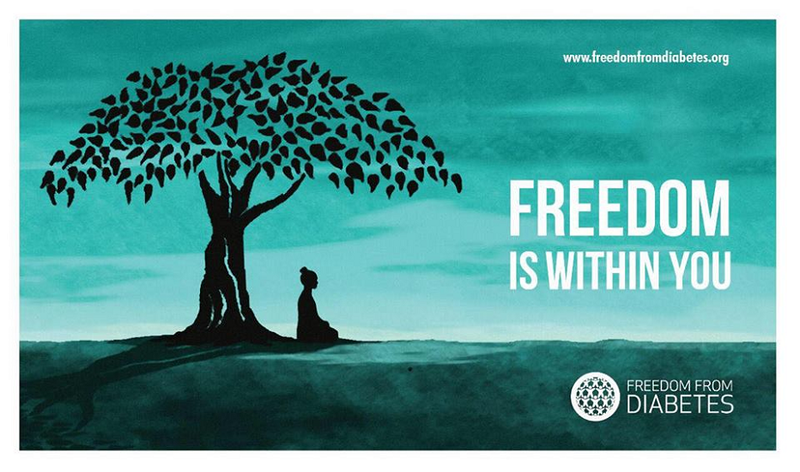 What is Freedom From Diabetes (FFD)? • Freedom from Diabetes is a transformational experience generating organization that EDUCATES, INSPIRES and SUPPORTS diabetics to become free of insulin and tablets naturally! • Diabetics and family members who are exposed to it, change their attitudes and habits towards diet, exercise, stress and positivity dramatically. ₹ 500/- for each accompanying immediate family member (e.g. parents, spouse, children ONLY). We are friends of diabetics who want to take them to freedom. Dr Pramod Tripathi specialises in reversing diabetes. 100,000 + Participants, over 150 Corporate, Ten Countries, 50 + Cities / towns covered. Participants attending this program will get a complete overview of the FFD Diet, Exercise and Stress Release Processes which has helped thousands become free of insulin and tablets completely! Primary members ONLY will get ONE set of books. Extra set of books can be purchased at the end of the program. If you miss the program you can carry forward the amount to the next immediate program as per your convenience. No refunds will be given!